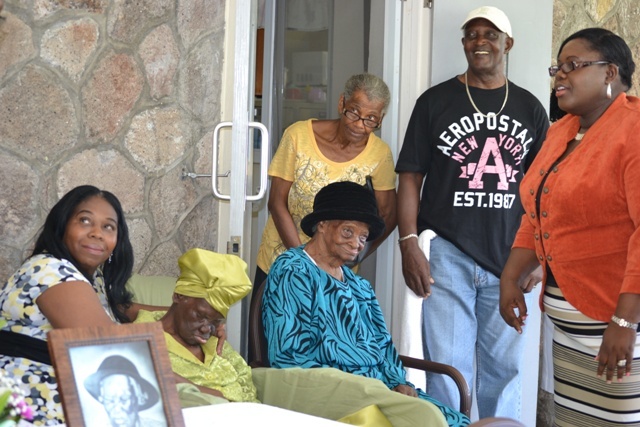 NIA CHARLESTOWN NEVIS (October 14, 2016) — The Ministry of Social Development in the Nevis Island Administration (NIA), paid homage to 104-year-old Celian “Martin” Powell of Zion Village for being the oldest person in St. Kitts and Nevis, at a ceremony at the Flamboyant Nursing Home on October 13, 2016. The event forms part of activities to celebrate the Month of the Older Person hosted by the Senior Citizens Division in the Department of Social Development. Powell’s birthday was on January 19, 2016. Junior Minister responsible for the island’s senior citizens Hon. 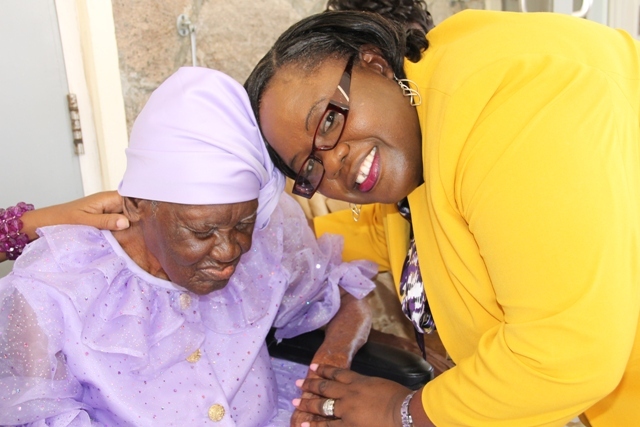 Hazel Brandy-Williams, in remarks at the ceremony, told Powell who is nearing 104 years and nine months, that she is still needed and should hold on to life for a while longer. “We want to have you around for a little while longer. I am asking you not to be over ambitious. Just live one day at a time. One minute at a time. One hour at a time and the God that you have served over the years would sustain you, would keep you,” she said. The Minister, who has a personal relationship with Powell and her family, termed her life as a fruitful one. She described her as a no-nonsense person, a disciplinarian, a hard worker and one who believes in the power of education and educating her family at all cost. Mrs. Brandy-Williams, also referred to Celian was an exemplary woman whose child raising skills would be an asset in the Federation, today when moral standards and discipline of children have eroded to an all-natural low in the communities. The Minister, also spoke of Powell’s disability – the loss of one of one limb, which has never deterred her from hard work. She added that the skills, moral standards and traits which span the centenarian’s life, can be attributed it to the era in which she was born and raised which should be emulated by all today. 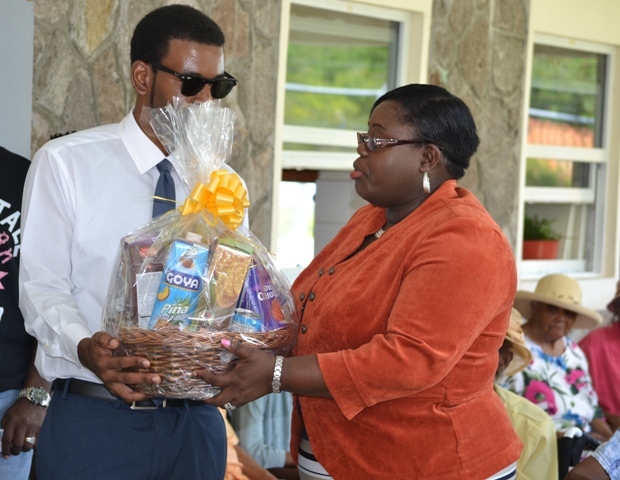 Meantime, Mrs. Brandy-Williams used the opportunity to make special mention of other centenarians on Nevis: William Douglas, Doris Claxton, Dori Elliott, Florence Liburd and Rosetta Hull before presenting Powell, the eldest, and Hull, the newest, with gift baskets. 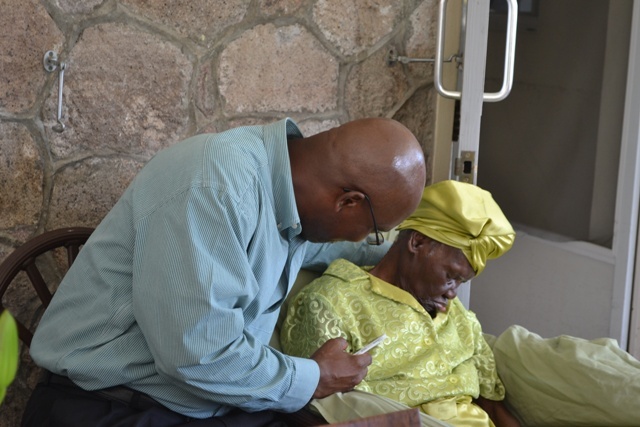 In response to the tribute, Powell’s first granddaughter Kathleen Rawlins who travelled to Nevis for the celebration, thanked the Ministry of Social Development, Social Services Department and the Senior Citizens Division for all they continue to do not only for her grandmother, who she referred to as Mama but for all other senior citizens on Nevis. She singled out the staff at the Flamboyant Nursing Home for their invaluable assistance caring for Powell and thanked them profusely. “To the Powell family, the most important people in Mama’s life, is the people who work here at the Flamboyant Nursing Home. It is the team that supports Mama, day in, day out, in the early morning, in the evening, throughout the night. Without their help, we as grandchildren and even my mother, her daughter, we could not live the life that we live. “We give thanks to them every day… They have taken the burden off our shoulders, seeing that we are not here to care for Mama and we are enlisting our most precious possession in their care. We feel, that they in turn, have loved her and care for her the same way that we would do,” Rawlins said. Among those present at the ceremony were Hon. Carlisle Powell, Celian’s grandson and Senator in the Nevis Island Assembly, Michelle Liburd, Assistant Secretary in the Ministry of Social Development, Mrs. Kim Singh, Deputy Director in the Department of Social Services, Hospital Administrator Gary Pemberton, Coordinator of the Senior Citizens Division Mrs. Garcia Hendrickson, Legal Advisor Colin Tyrell and Reverend Moreland Williams.